Unhappy with long-standing appearance. Restored to achieve a glamourous, younger look. Infection and broken bridgework which kept falling out. 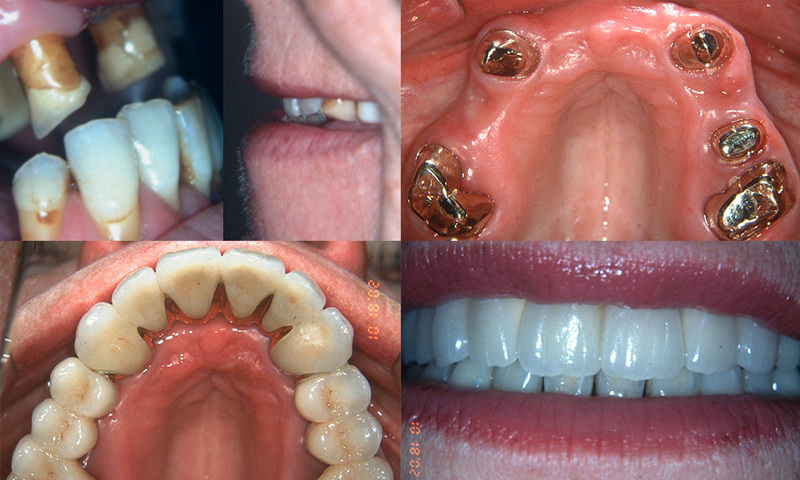 Full implant supported restorations to regain health, function and appearance. Wanted to lose her gummy smile. 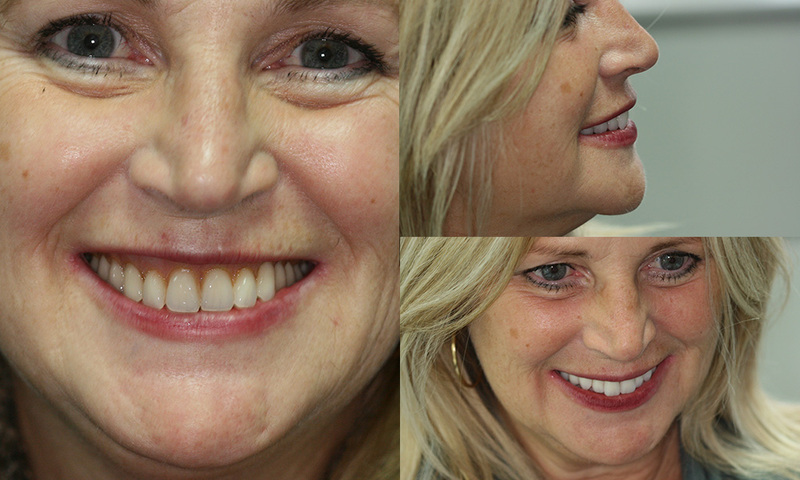 Tissue re-contouring and veneer restorations fulfilled her expectations. 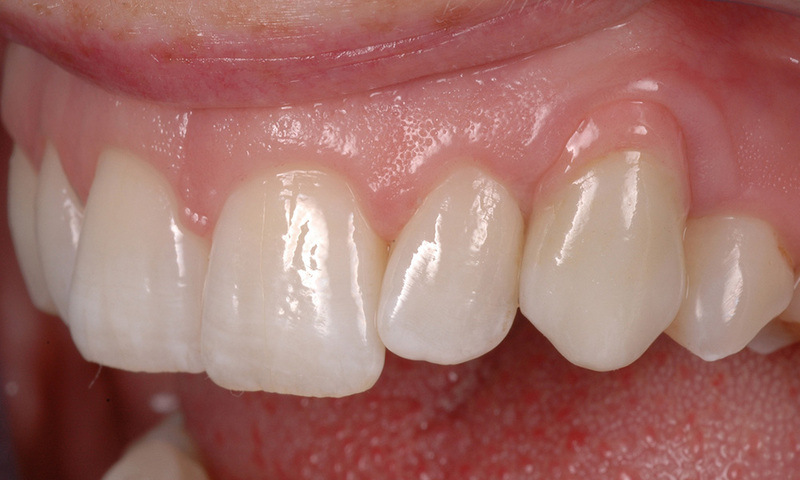 Caries susceptible with failed restorations. 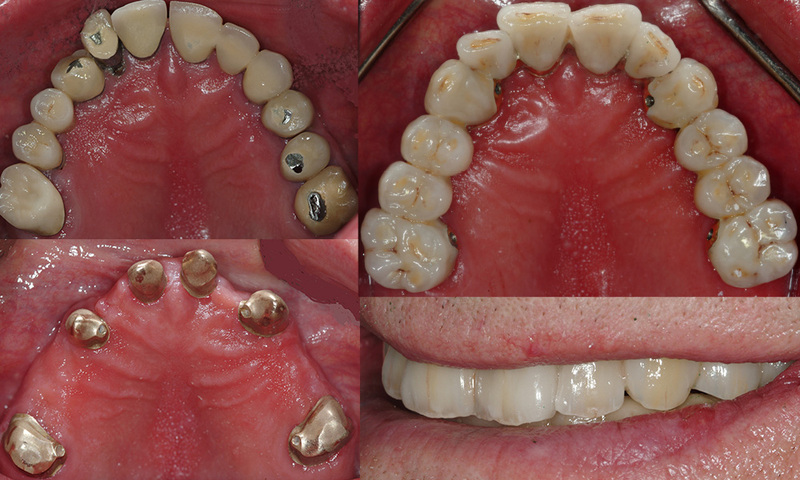 Restored with screw retained telescope bridgework for ease of management. 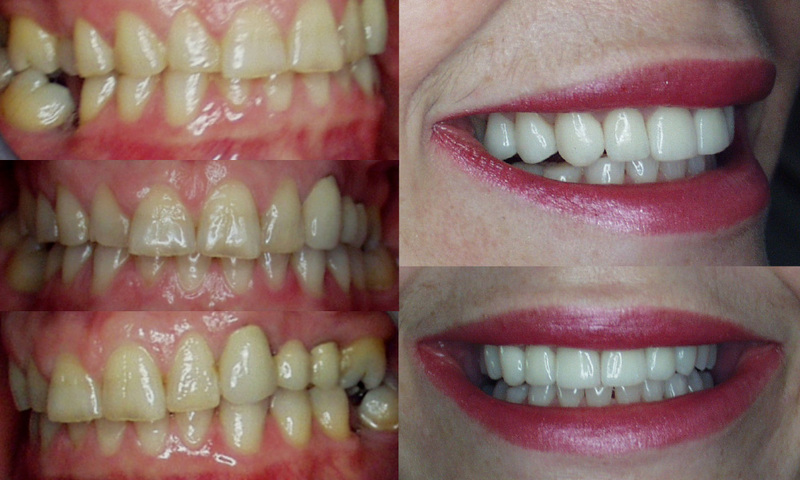 Worn, dull looking restorations restored to rejuvenate her appearance. 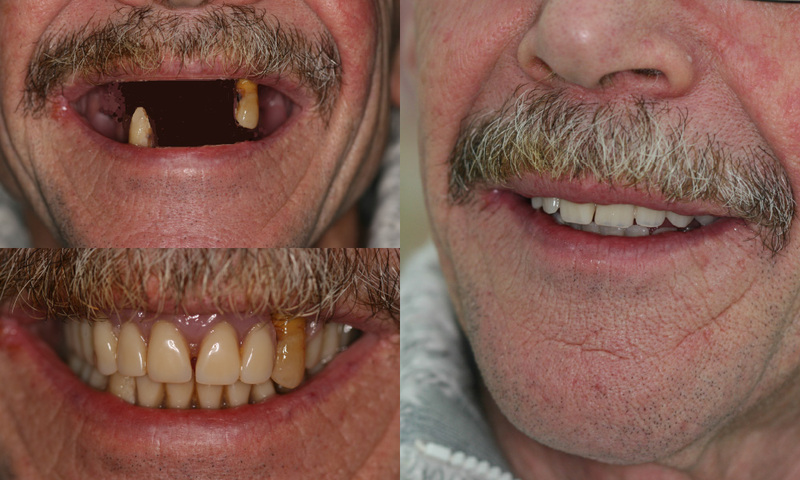 Non-functional dentures restored with implant supported removable prostheses. 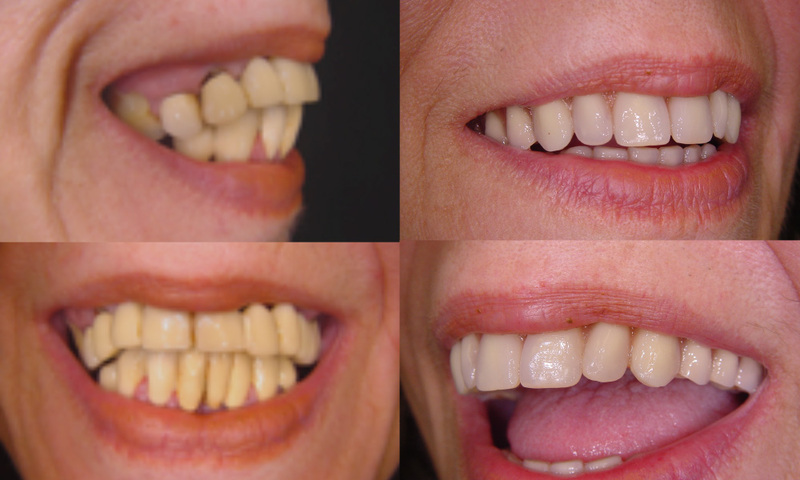 Failed dentition restored with splinted bridgework to regain health, function and optimum aesthetics. 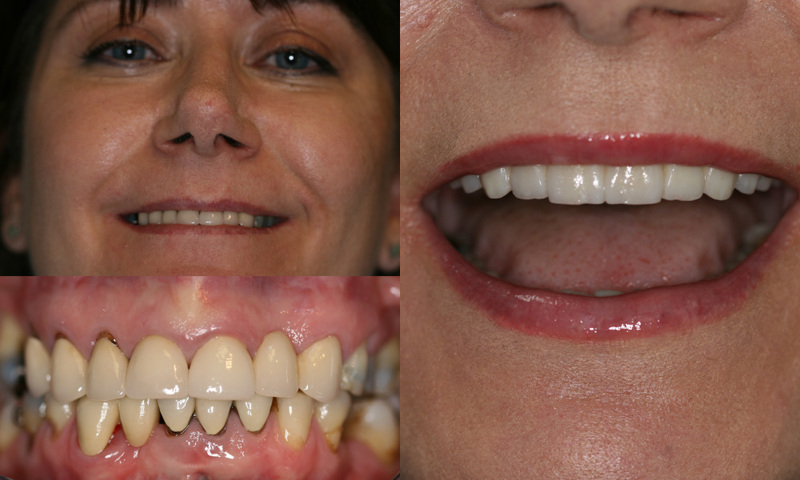 Smile rejuvenation from the temporary stage to definitive restorations. 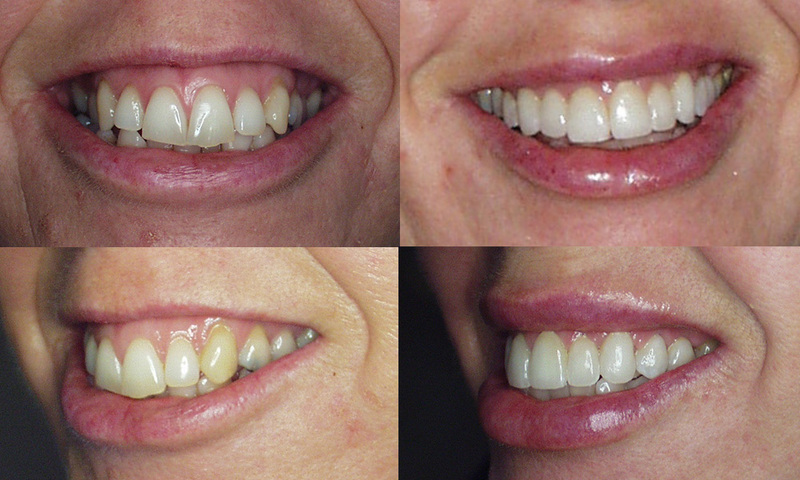 Worn, discoloured teeth refreshed by restoring with a lighter shade of veneers. 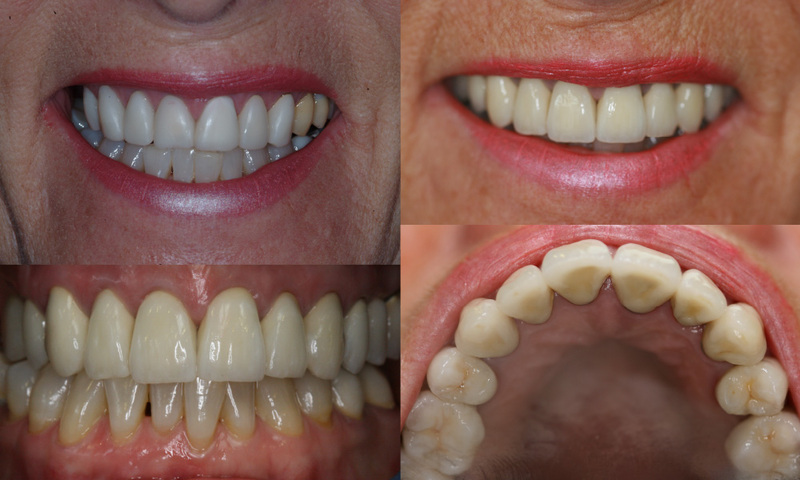 Left canine restored with implant supported crown where loss of bone and tissue has been masked using pink porcelain. 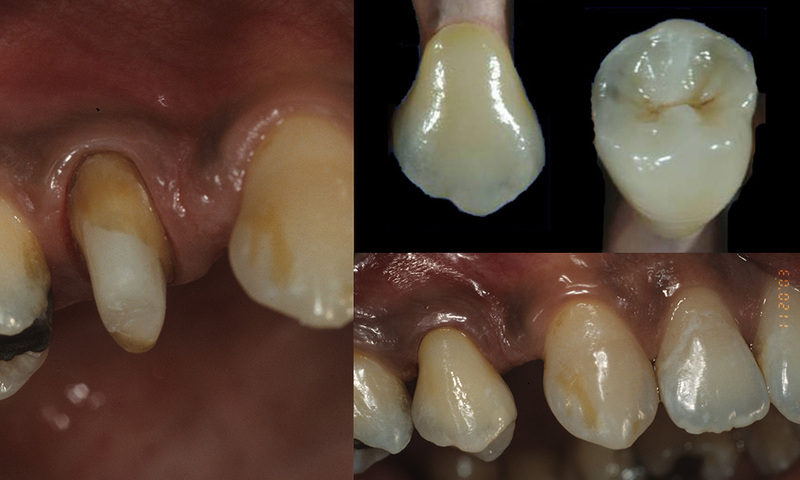 Upper right first premolar restored with a porcelain fused to metal crown. 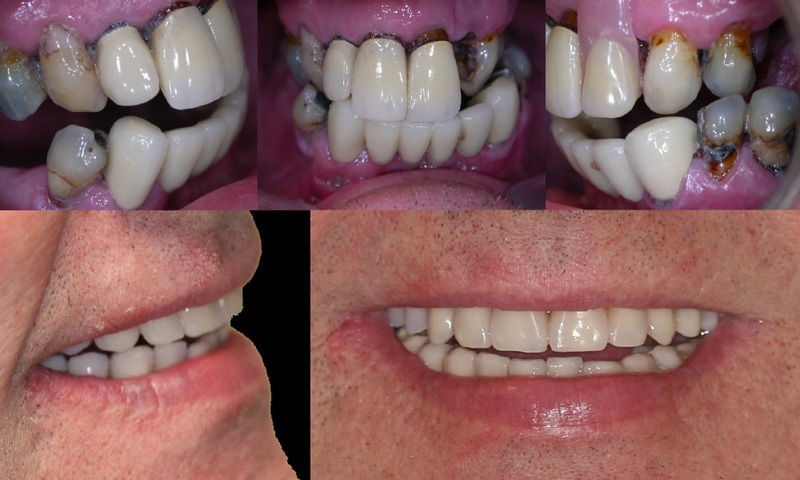 Failed upper and lower dentition restored with implant supported removable prostheses.